I think my feelings about Rob Bell are pretty similar to my feelings about rap music when I was in high school… I liked the style and the way it was trendy, and it stirred up emotions in me, and told stories about our world and what is bad and what needs to change… and I also felt guilty because of the profanity and the mental images is stirred up. Mr. Bell definitely isn’t profane, but I still feel guilty for liking the guy. I guess this is because he is so good at showing what is broken in our world and especially in our American christian church. I agree with him on almost all of the things he articulates so well about the heart of Christ for the lost and needy. He points out our need for Christ so well, but seems so bad at ever mentioning the big ‘R’ word: repentance. I have never ever in my life heard him utter the word or the notion. Nevertheless, I’ll probably read the new book, “Jesus Wants to Save Christians”. JDGreear from the Summit Church in Durham, NC, has a post titled “The Book Besides the Bible to Take If You Get Stranded On An Island”. G. K. Chesterton was once asked what one book he’d take if he were stranded on an island. He said a book about shipbuilding. Other than that, and the Bible… this is what I’d suggest you take: Tim Keller’s new The Reason for God. If you read one book in your LIFETIME, THIS SHOULD BE IT. I know this sounds like I’m exaggerating, but this really is the absolute best book I’ve ever read at interpreting the Gospel for our culture. Ummm… yeah. I just said almost the exact same thing at Bible study Wednesday. I believe I have identified that next book I’ll be looking to get. This is a REALLY good candidate. 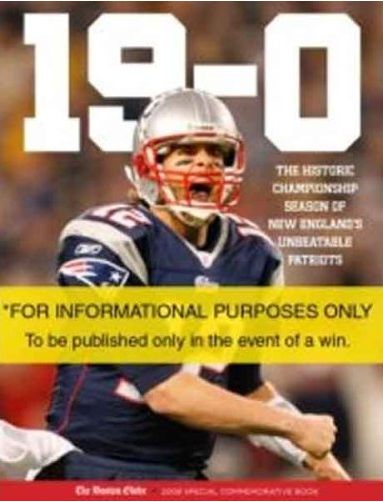 The Boston Globe started selling this book last week — before the superbowl. You can pre-order it right now for the low, low price of $10.17. He he he he he….